This delicious Chocolate Smoothie makes the perfect breakfast or little snack. Thank you to @cinnamonandberries for the creation! Simply blend together all the ingredients using a blender. 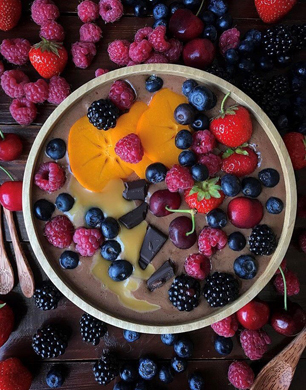 Serve topped with extra fruit, berries and Joe & Seph’s Caramel Sauce!